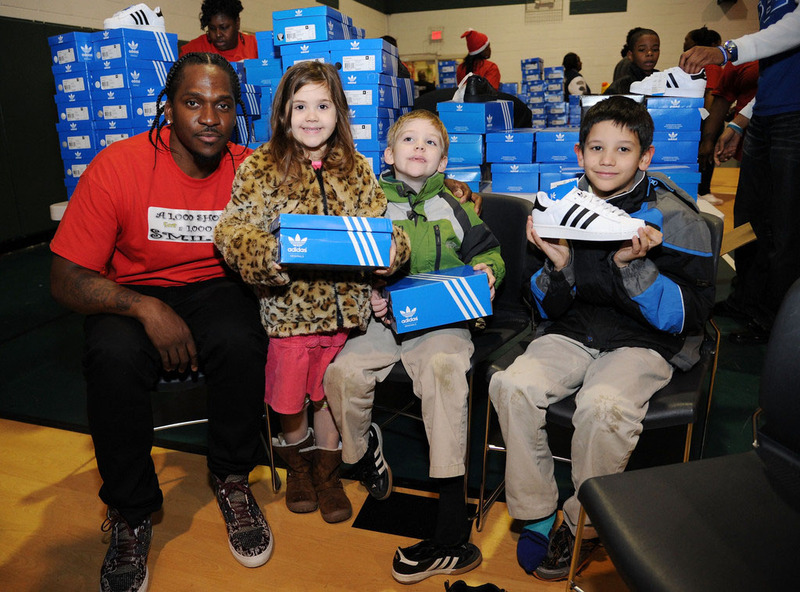 Virginia native Pusha T returned to his hometown of Norfolk over the weekend to take part in the 'A Thousand Shoes for a Thousand Smiles' charity event. 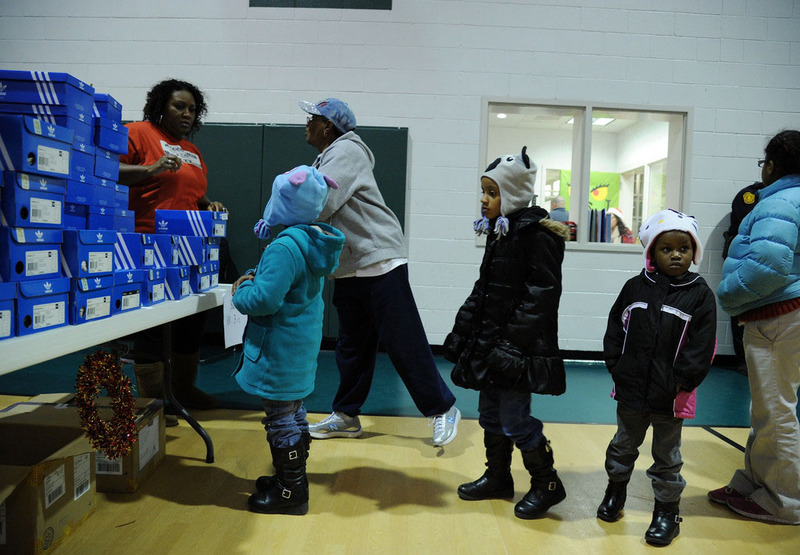 The organization, founded by Lizette McKesson, works with local social services to make sure local kids in need get new pairs of shoes. 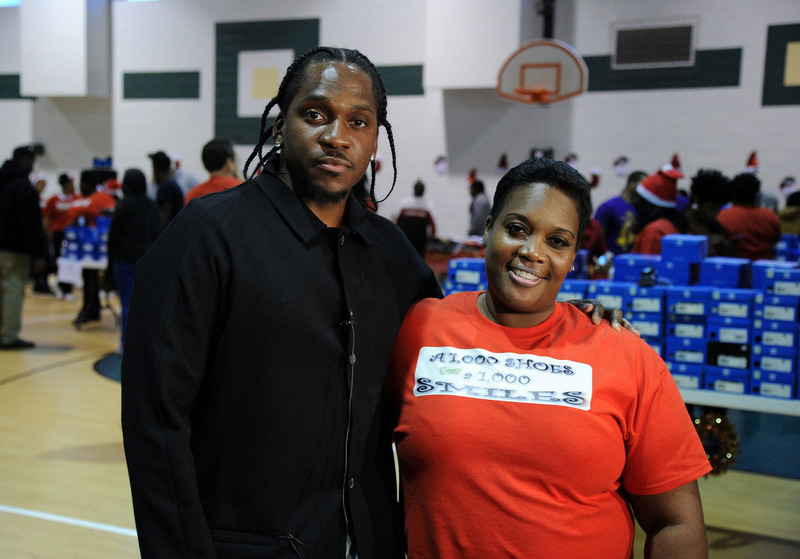 This Christmas, Lizette brought in Pusha T to help take action. 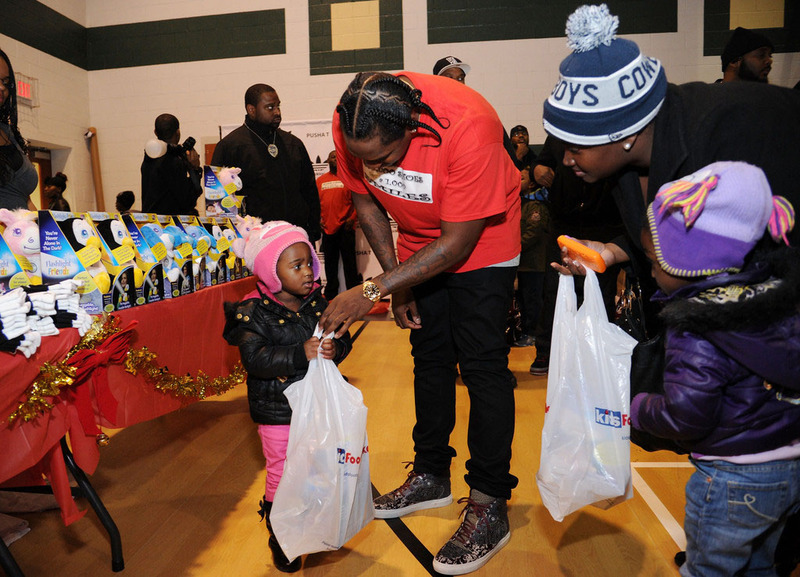 As a result, the G.O.O.D. 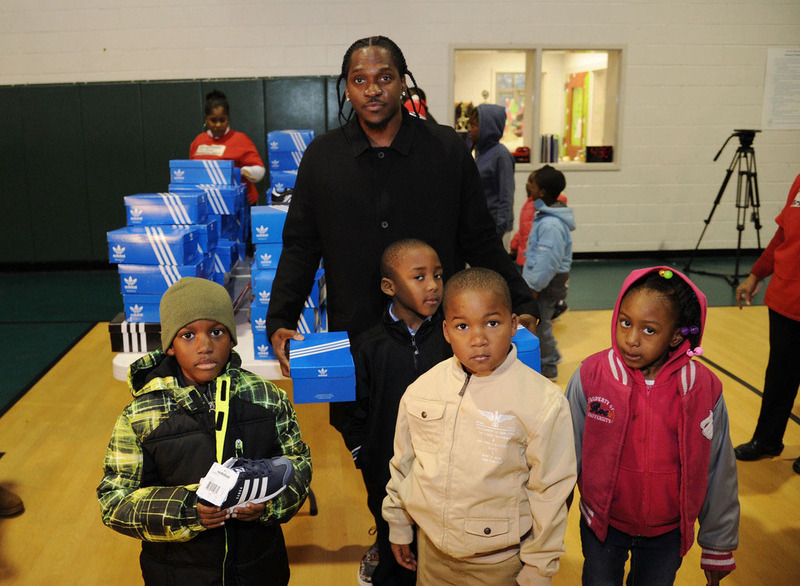 music rapper linked up with adidas and got them to donate 1,000 pairs of brand new kicks. 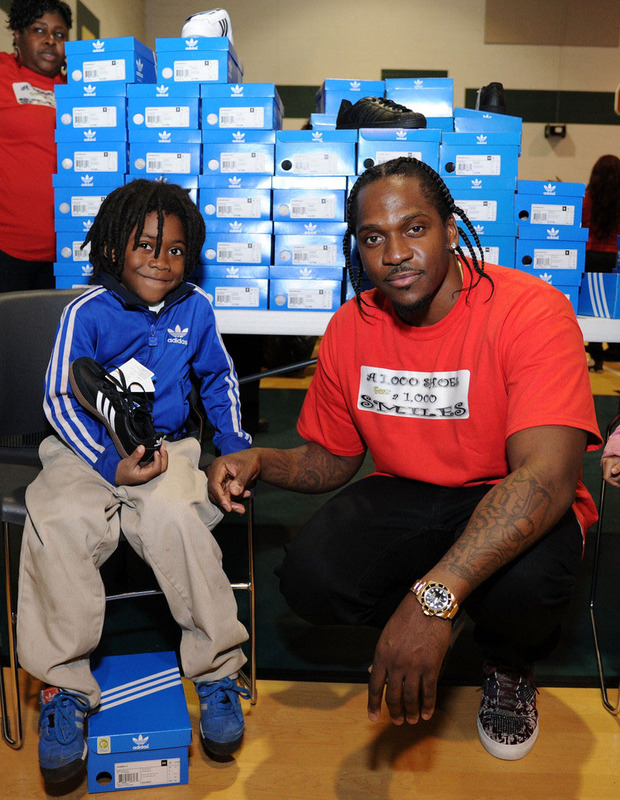 "I feel blessed to be able to come back to my community and help 1000 Shoes for 1000 Smiles reach its goal of donating 1000 shoes, Pusha said in a statement. 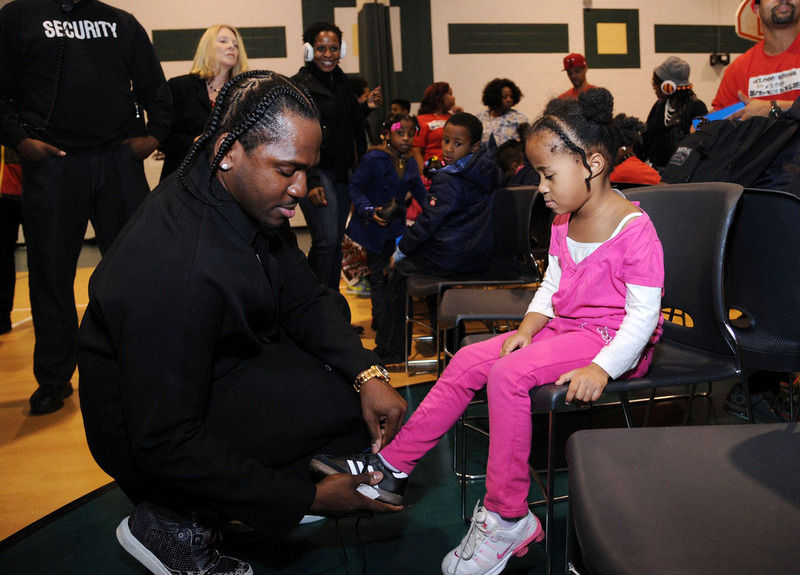 "This is the first time in the organization's history that this goal was met and I am so grateful to be a part of it." 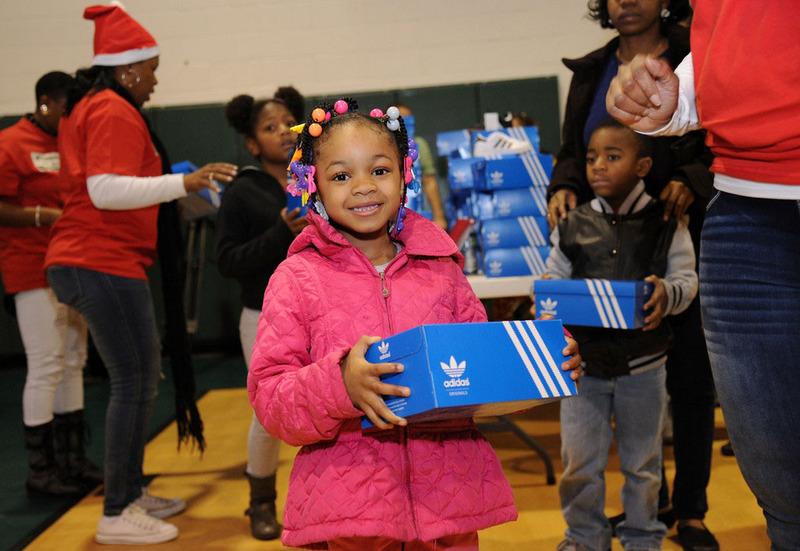 McKesson added, "Being able to give needy school age children brand new shoes for Christmas is a great feeling and with our 10 year anniversary coming up in 2014, it was awesome to hit the 1,000 shoe mark. 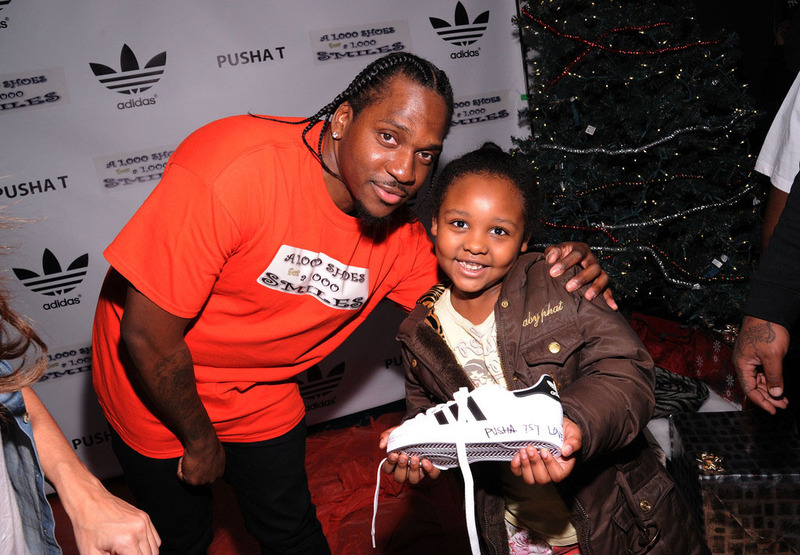 Without Pusha T wanting to help his hometown community this event wouldn't have been this big of a success! 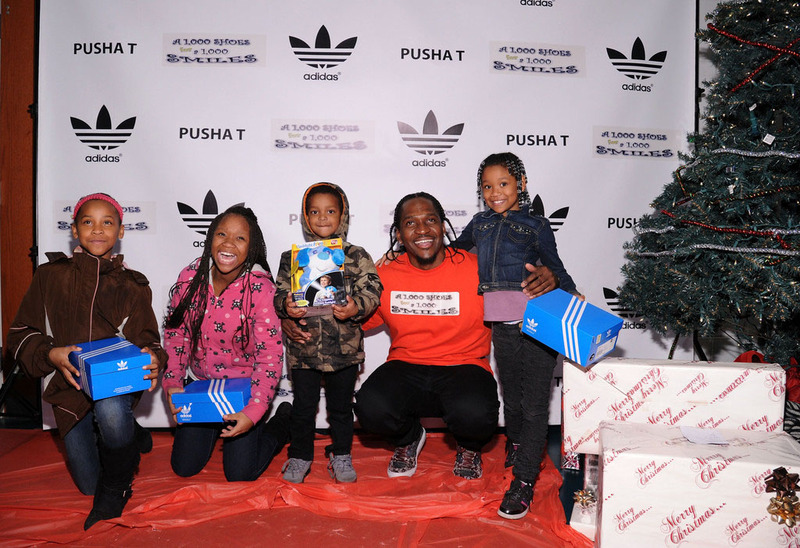 Thank you to Pusha T and Adidas for caring enough to want to be apart of our organization and help us give back to our community." 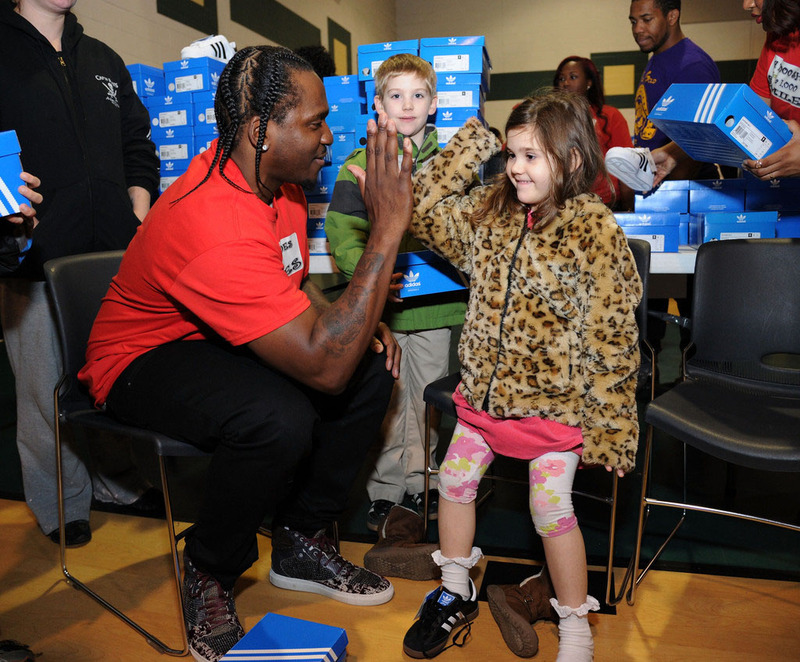 Small picture, G.O.O.D. 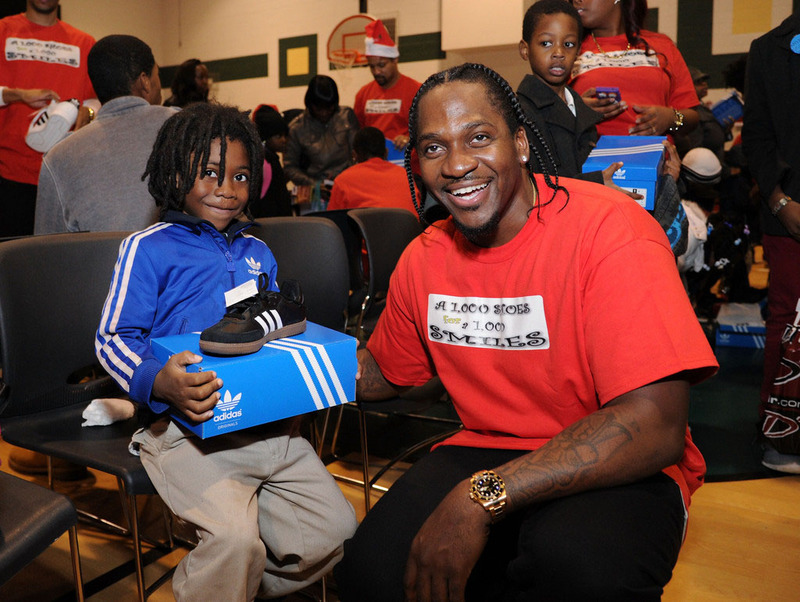 Music and adidas have a strong working relationship. 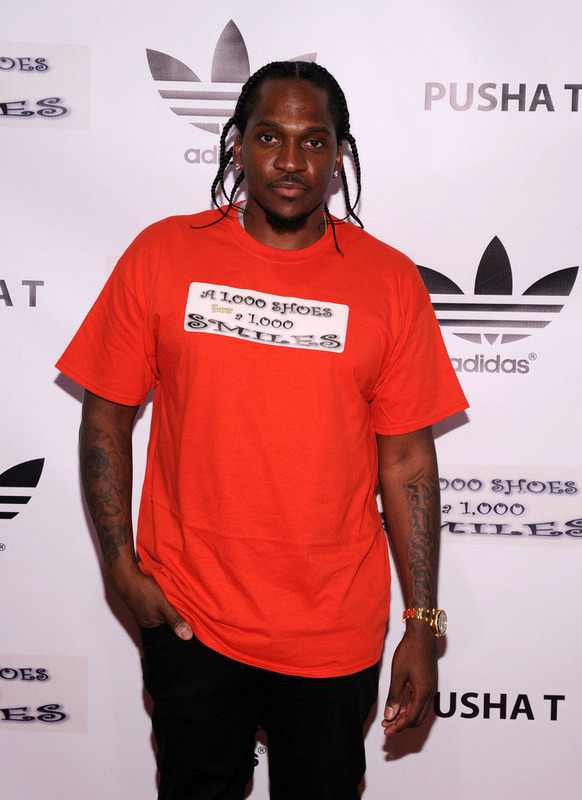 Will Pusha officially join the stripes in 2014? 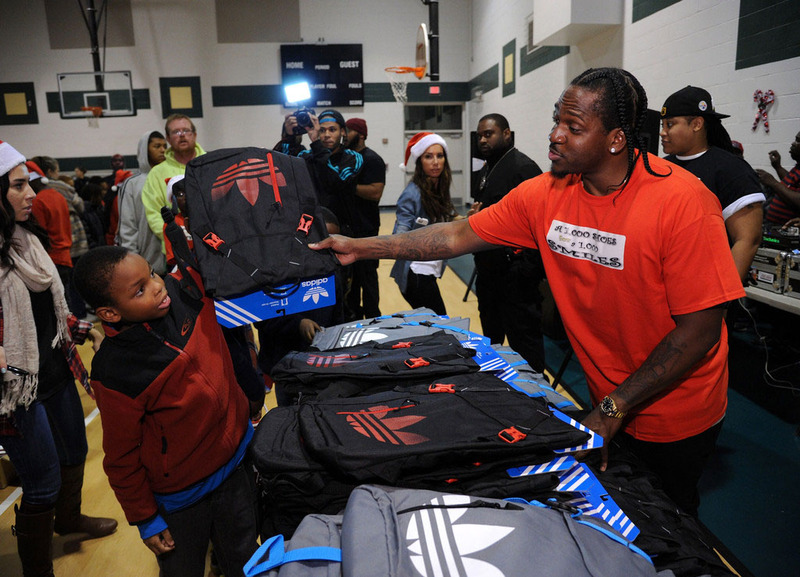 Big picture, it's great to see Lizette and Pusha making a difference for these kids during the holiday season. 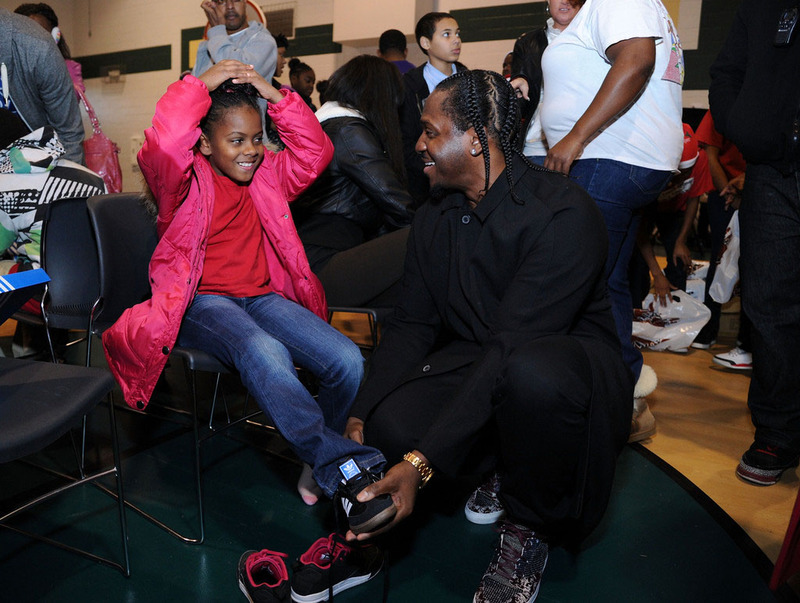 Enjoy some the visuals from the events below.